– How long did you take to name yourself? You will learn why it is your right to prioritise self-love & care. – Let us be the first to tell you that you’re more courageous than you think. It takes courage to look within and admit that you’re not okay. You are courageous to embark on a journey to overcome your deepest fears. – It may seem impossible to explain to others the helpless feelings you have inside, but know that you are not the only one distressed by these feelings. Our counsellors are professionals, emphatic and dedicated, trained to listen and to reconcile you with your inner self, to honour your strengths and limitations. 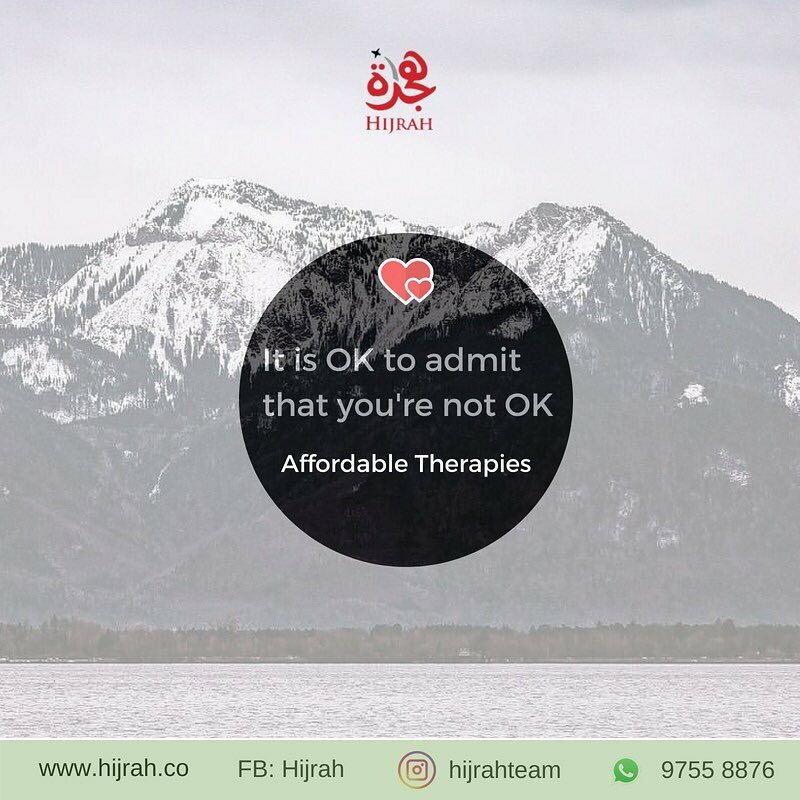 – Hijrah believes in making healing accessible and affordable for resourceful, courageous individuals like you, who seeks to restore balance & harmony. We provide FREE first session & our rates are lower than the market rate because your path to harmony and success shouldn’t be hindered – in any way. 🎗 Thought about anyone who needs this? – Spread this poster and be the first to reach out to them. Or whatsapp us at 9755 8876, we are ready to listen, arms stretched out for you, if you need a hug.